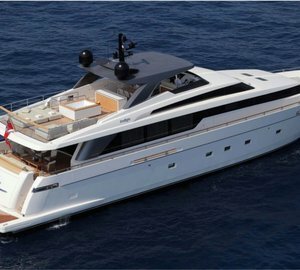 With launch in 2012, the luxury motor yacht Indigo is a splendid SL104 series vessel, built by the prestigious Italian shipyard Sanlorenzo. 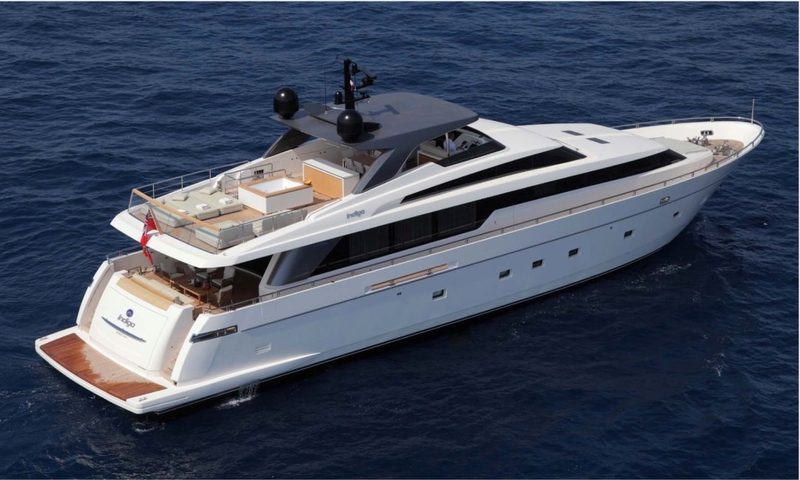 The Indigo superyacht features naval architecture by well known Francesco Paszkowski. 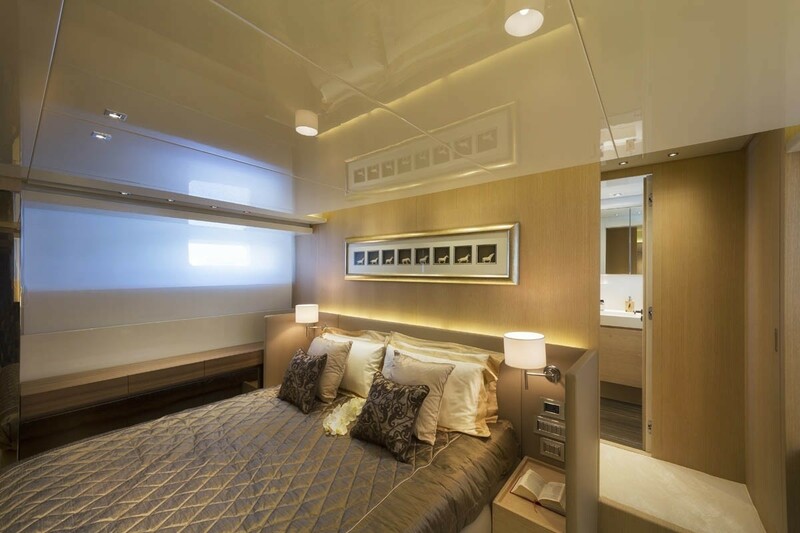 She offers accommodation for up to 8 charter guests, in 4 spacious cabins. 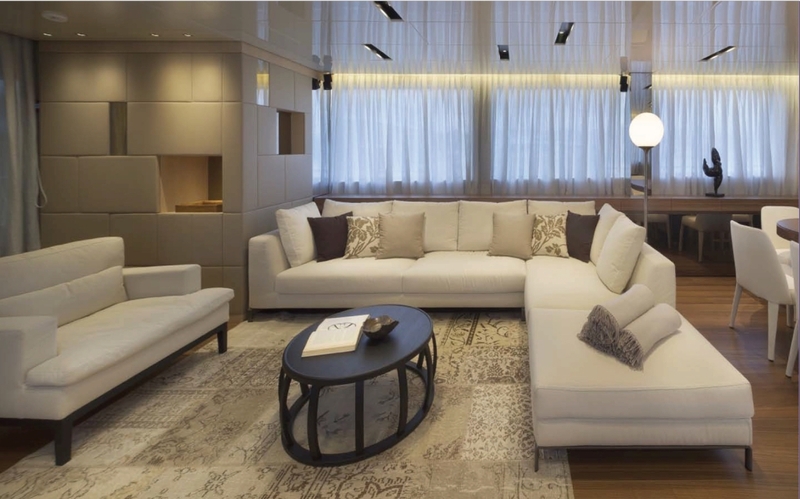 Her interiors are elegant and warm. 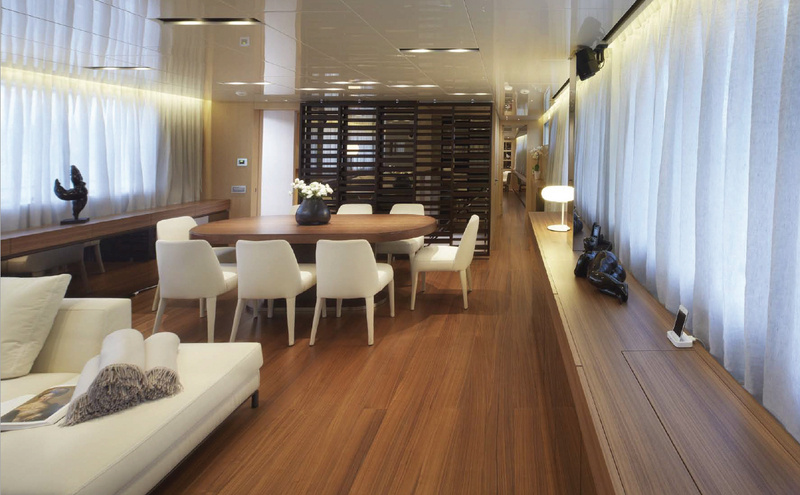 The main salon is laid in a contemporary open plan. 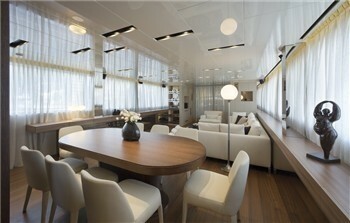 The lounge is aft offering bespoke soft furnishings in a relaxing neutral tone, coffee table and entertainment systems. 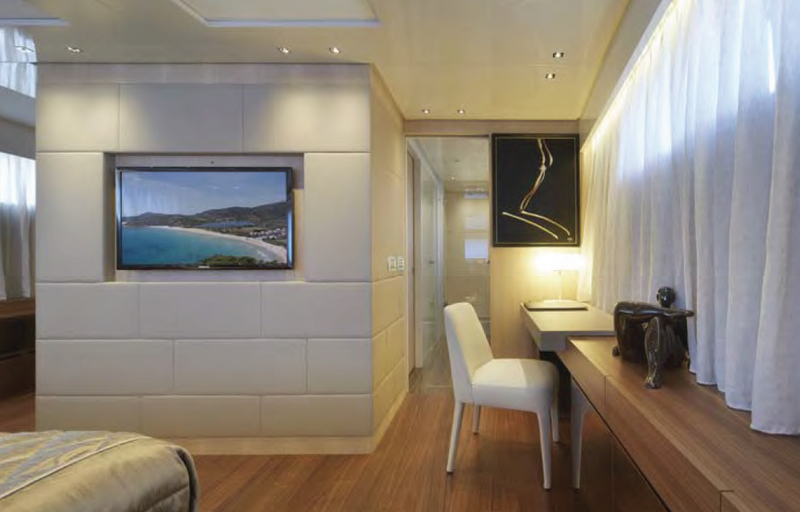 Forward is the formal dining area, seating 8 guests with ease. 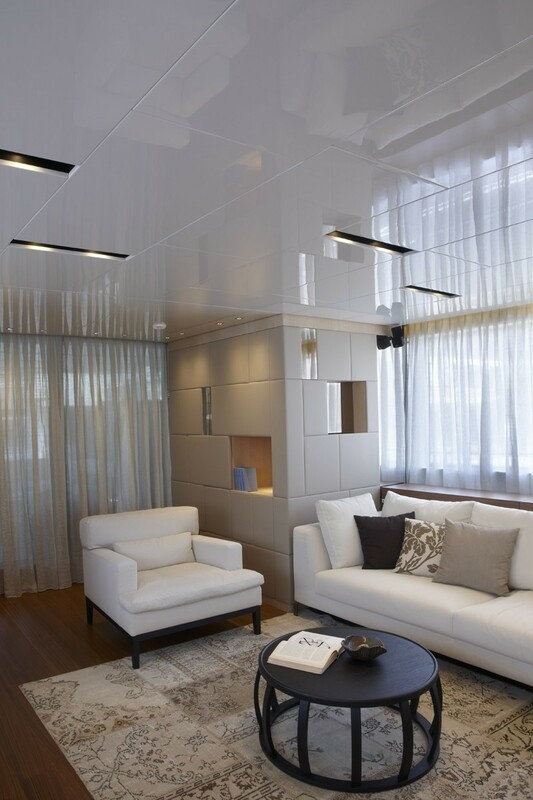 Elongated side windows ensure optimum natural light and perfectly framed views. 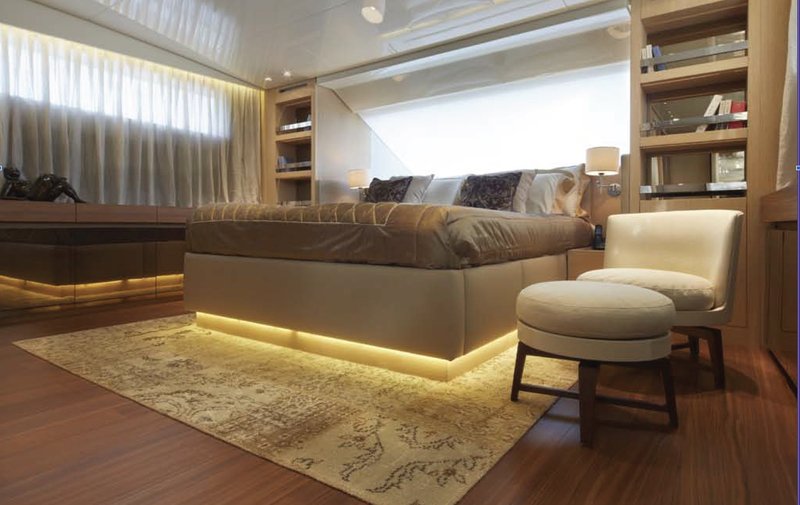 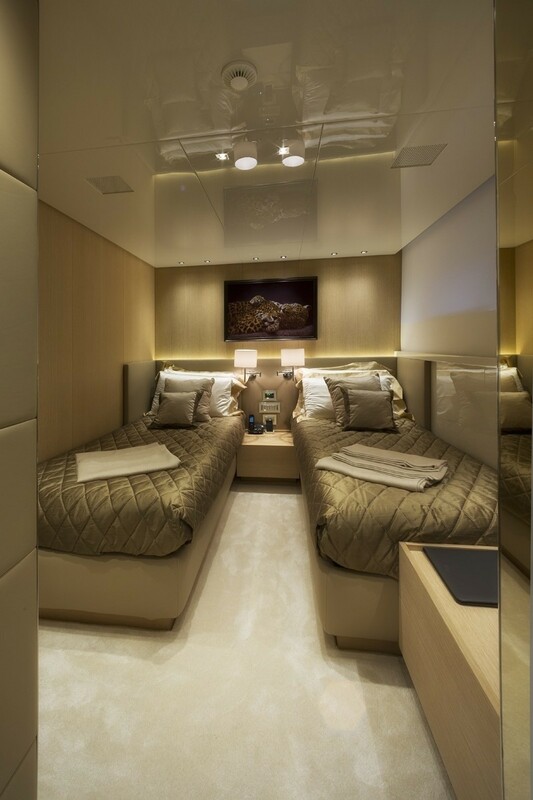 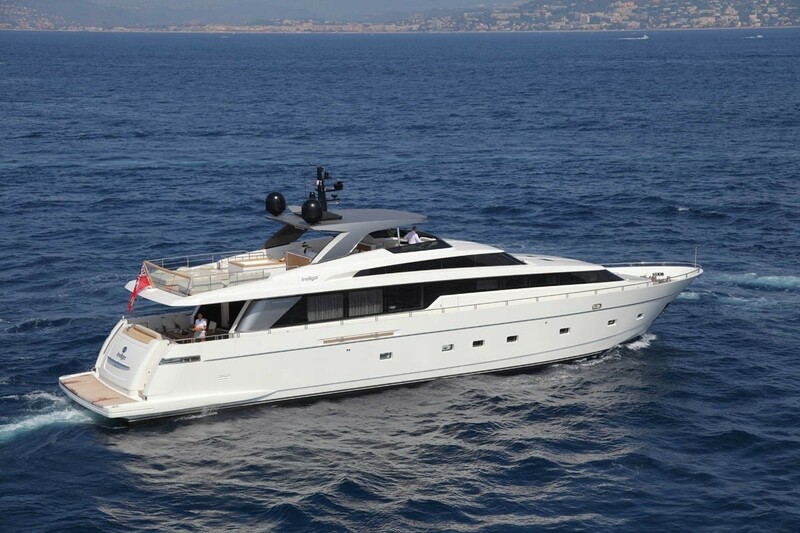 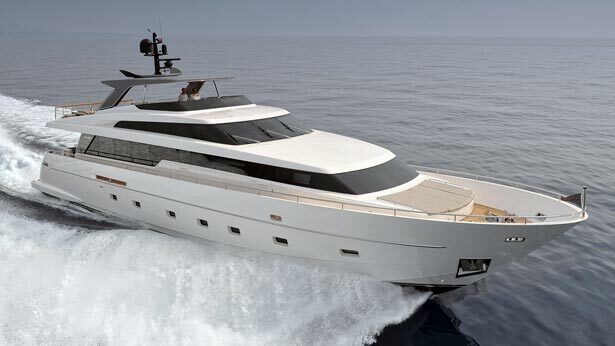 8 charter guests are provided with the maximum comfort on board the SL104 superyacht Indigo. 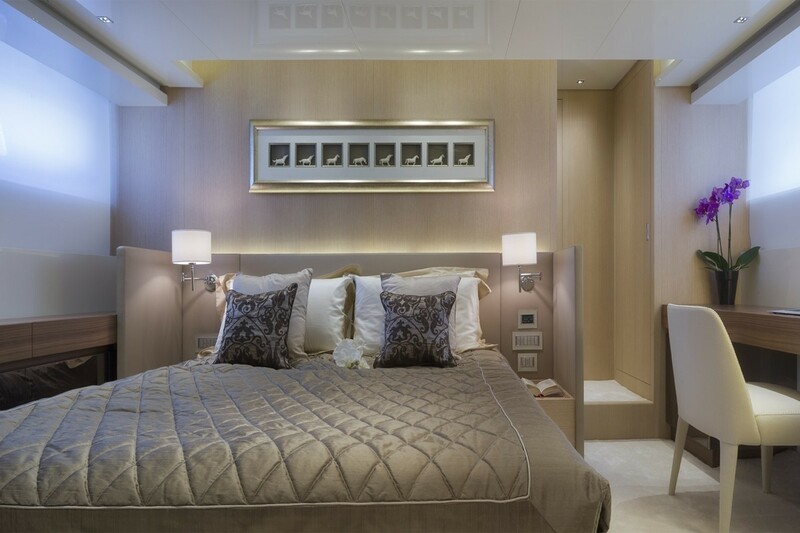 There is the Owner´s suite on the main deck, with a VIP-type stateroom as well as two twin-bed cabins on the lower deck. 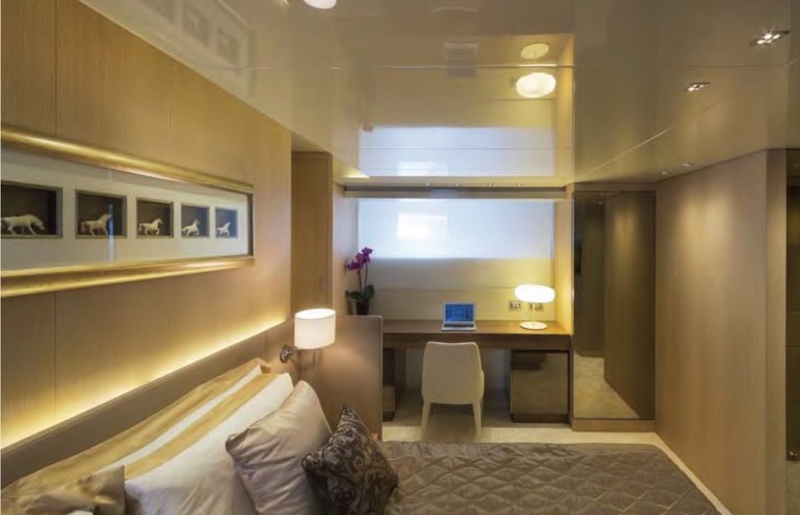 All of these rooms boast en-suite bathrooms. 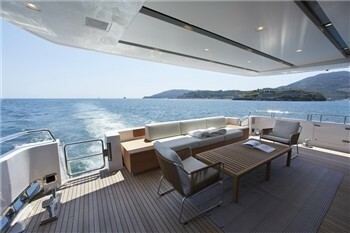 Exterior space is well-appointed over 2 decks. 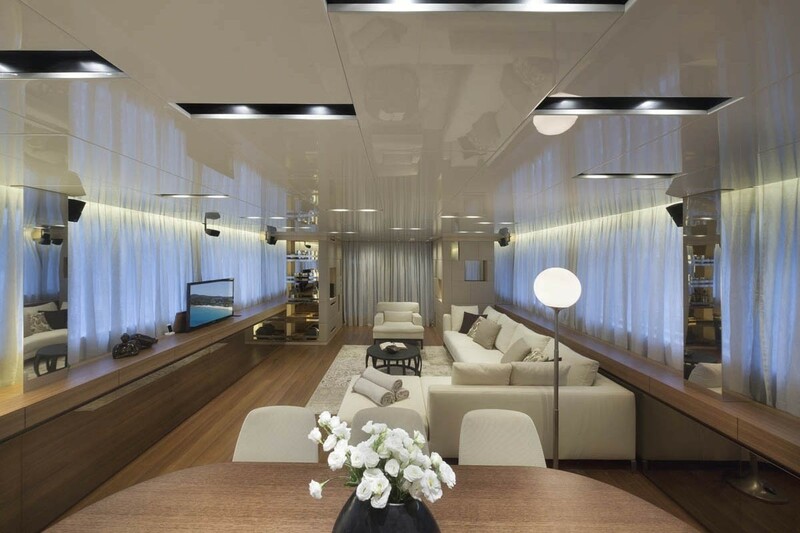 The main salon opens out onto the shaded aft deck, complete with an alfresco dining option and additional seating. 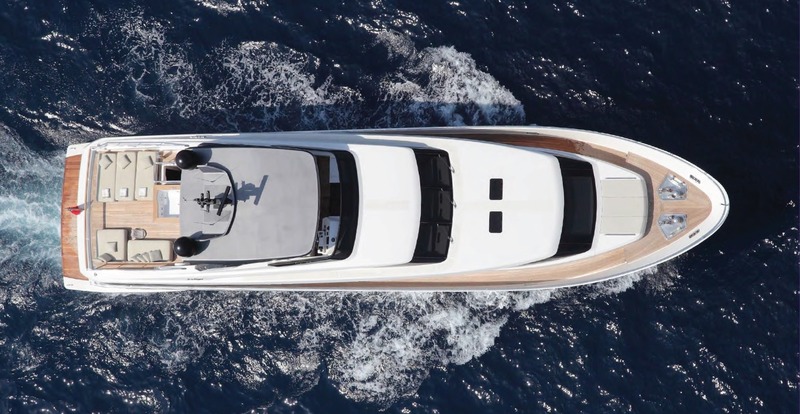 Further aft is the extended swim platform, where guests can make the most of the water toys on offer, or simply enjoy an effortless dip in the sea. 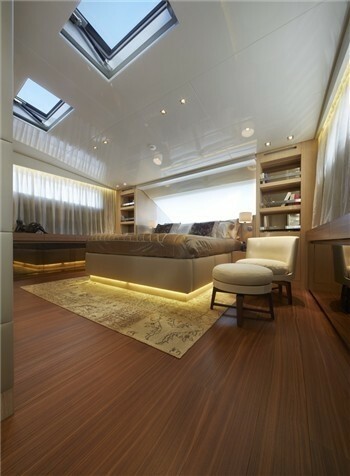 Her foredeck offers a seating and sunpad area. 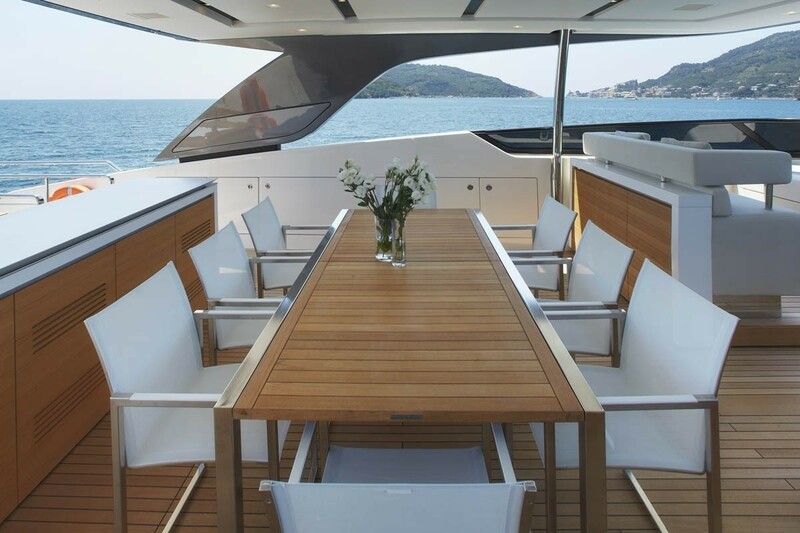 The upper deck has partial shade forward, where a further alfresco dining table is ideal for a casual lunch or romantic dinner. 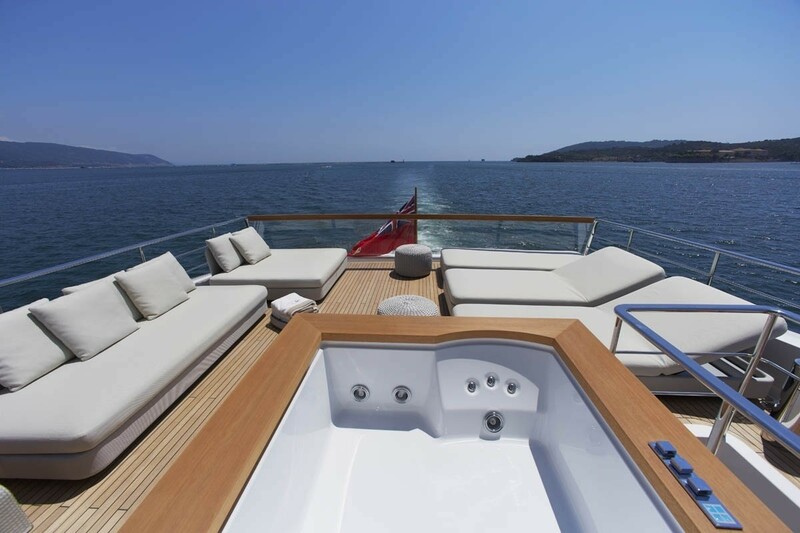 The aft section of the sundeck features a Jacuzzi tub, sun loungers and seating. 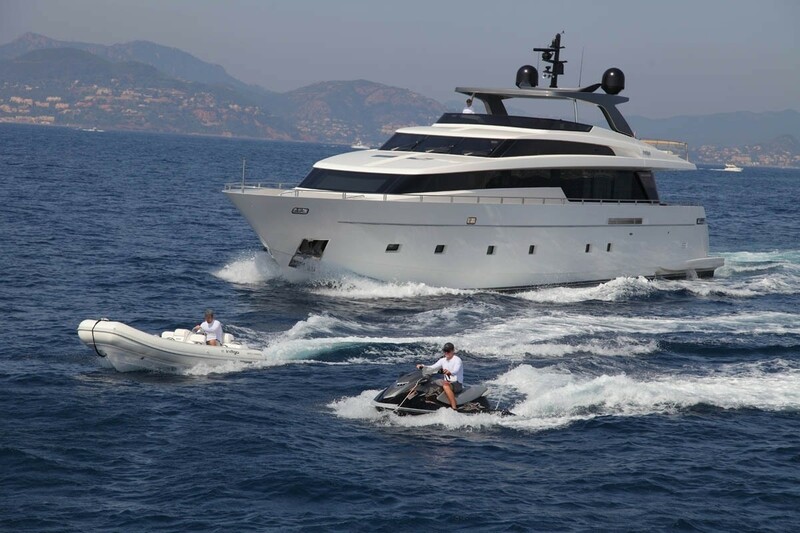 Thanks to the twin MTU 16V2000 M93 engines, the Sanlorenzo luxury yacht Indigo is able to reach a maximum speed of 29 knots. 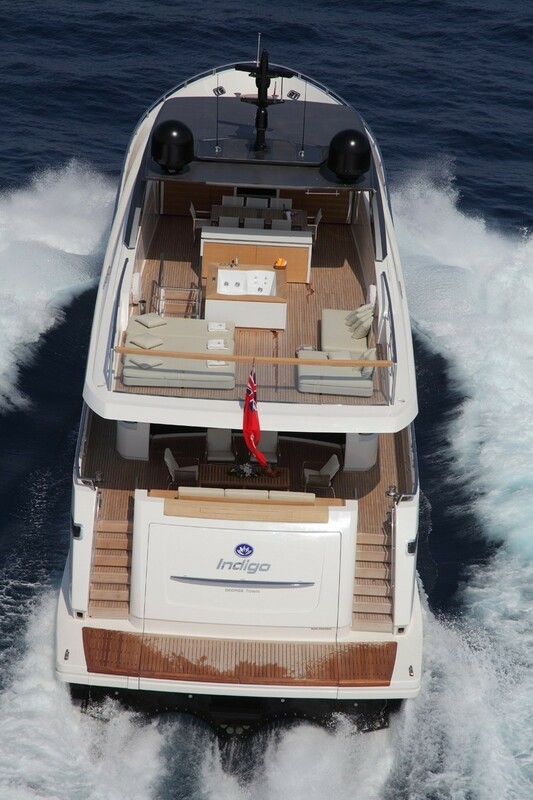 Indigo is RINA-classed. 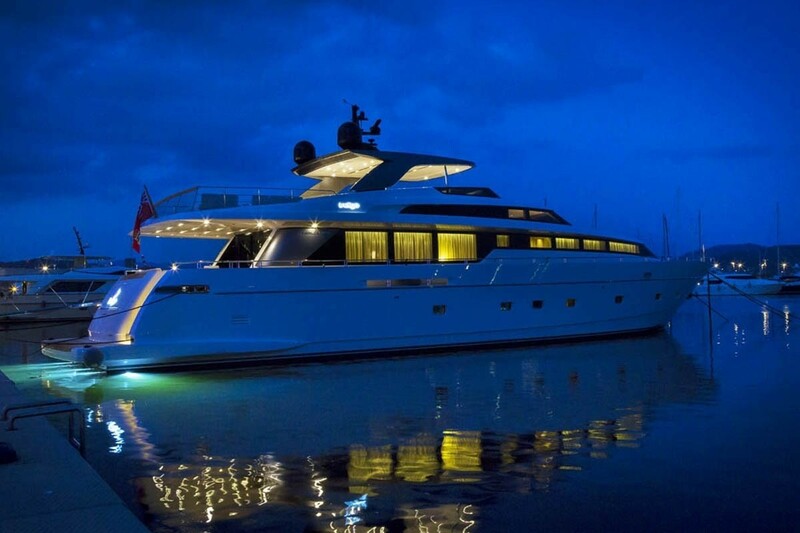 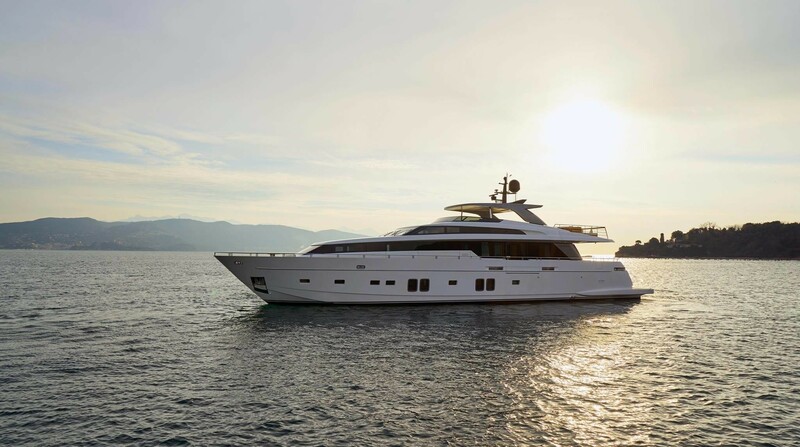 8 guests can find the utmost in luxury aboard the SL104 luxury yacht Indigo. 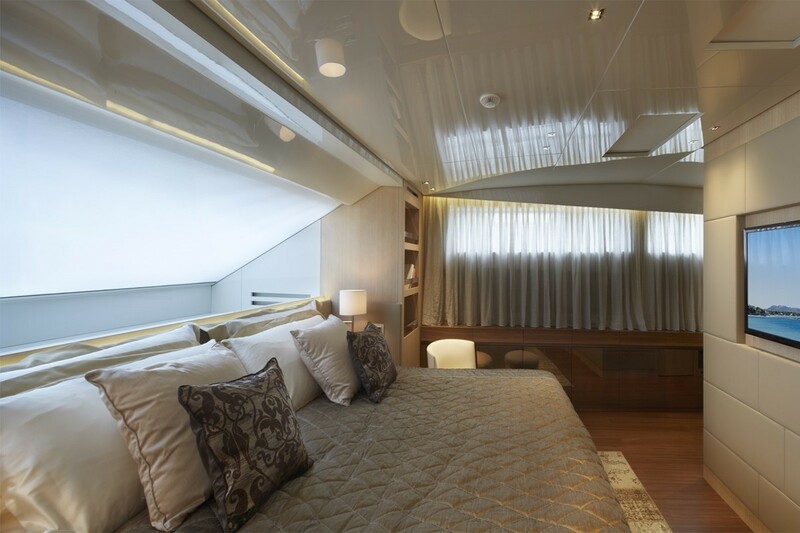 There is the Owner´s suite on the main deck, with a VIP-type stateroom as well as two twin-bed cabins on the lower deck. 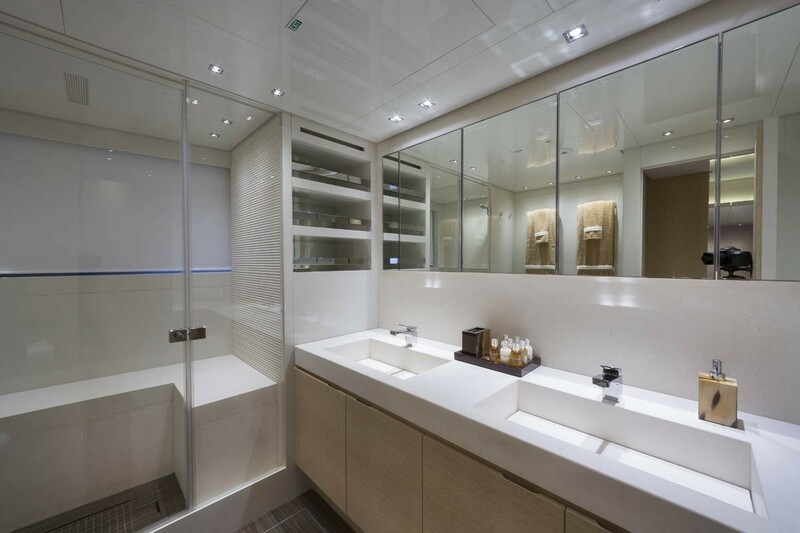 All of these rooms feature luxurious en-suite bathrooms.